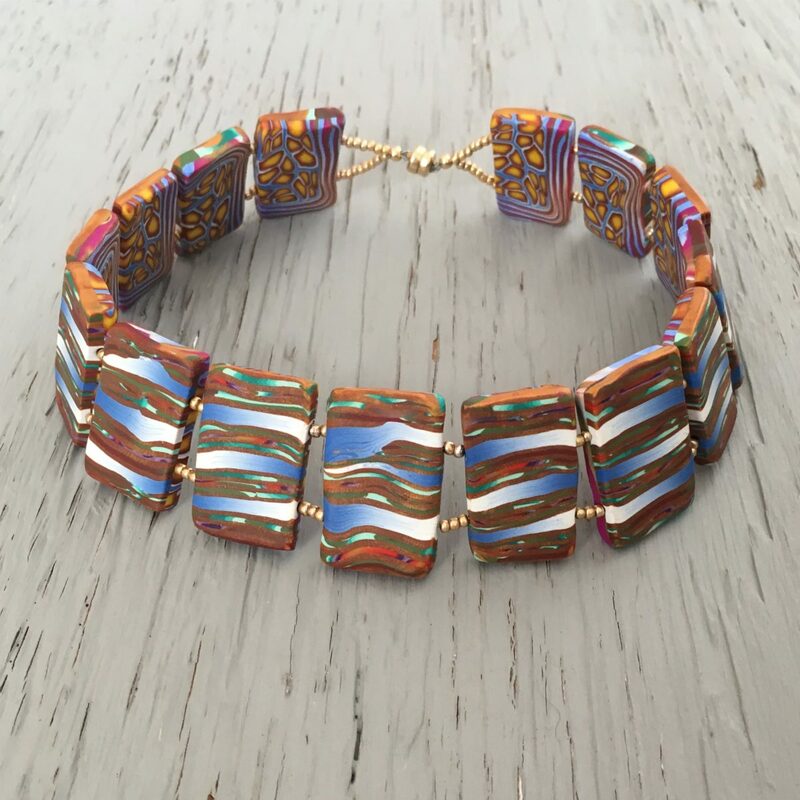 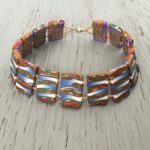 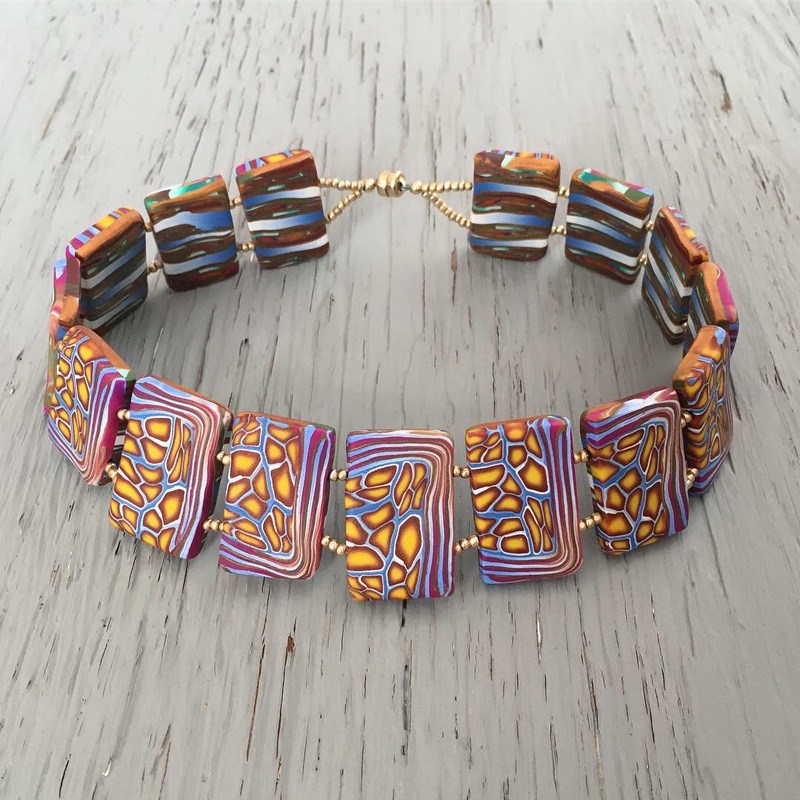 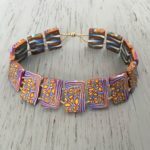 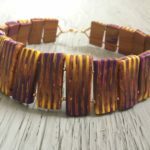 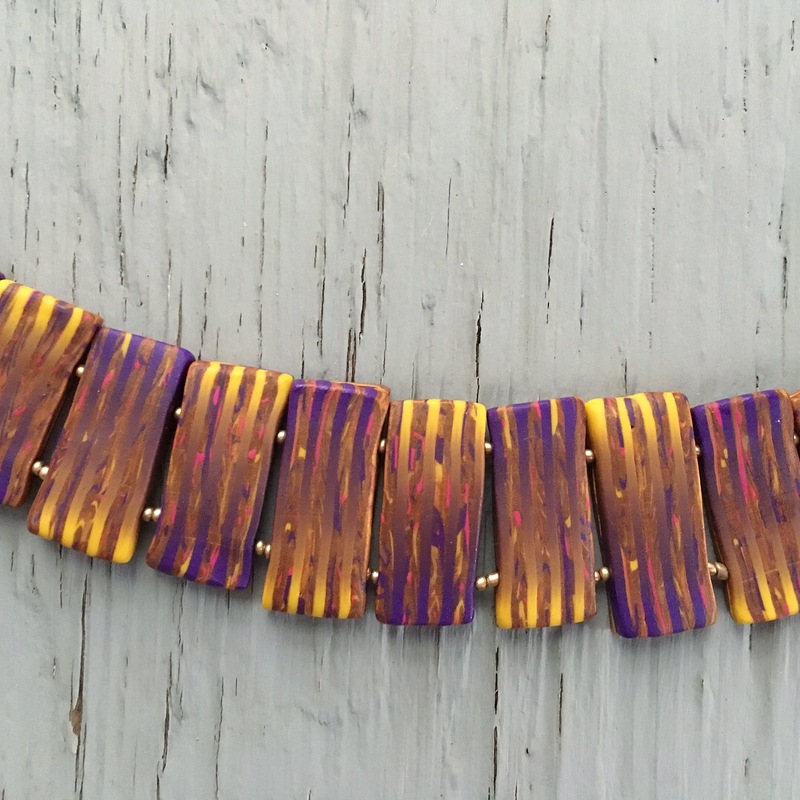 This is a choker style neck piece with long, rectangular beads to accentuate the length of the neck. 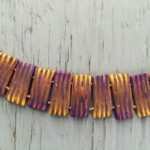 It is strung with 20lb beading wire and finished with a sterling silver or 18k gold filled magnetic clasp. 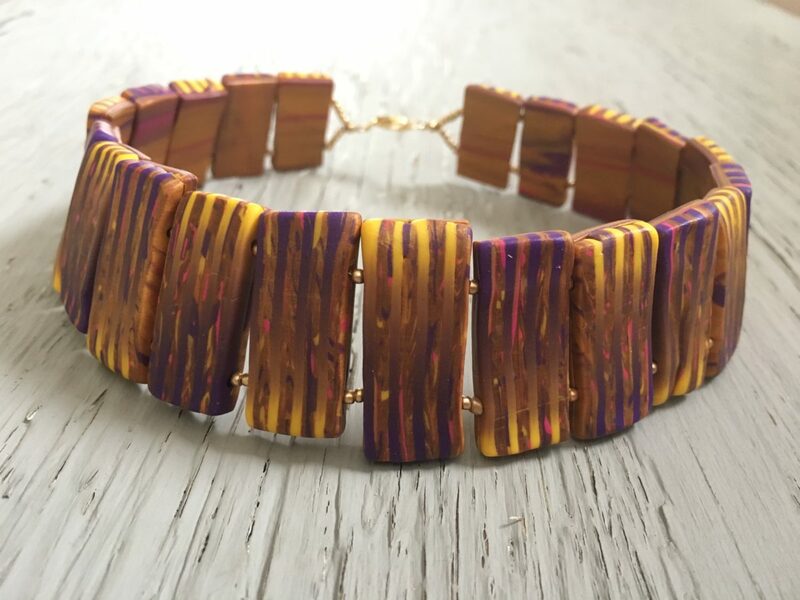 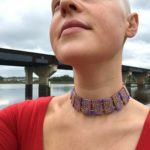 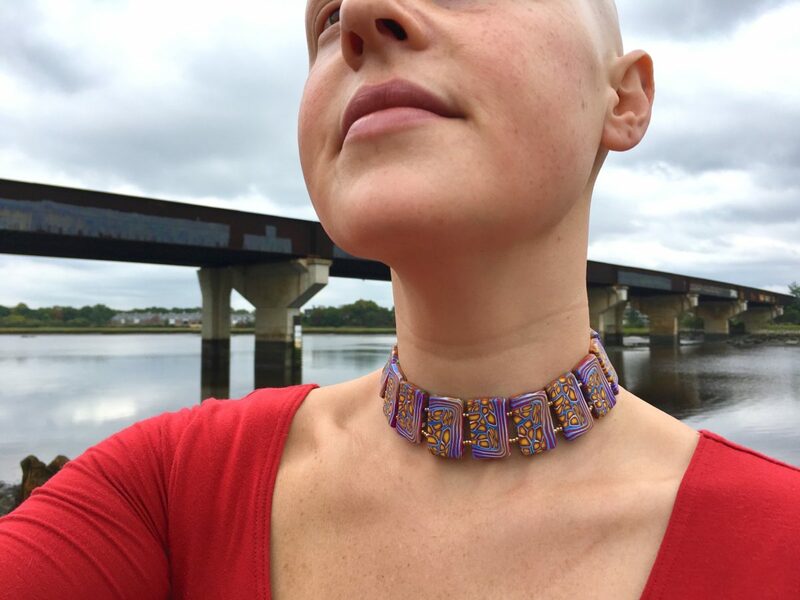 To commission the “Royalty” necklace, please include a note stating your desired color scheme/pattern and the circumference of the base of your neck.